The Orange County Sheriff’s Department has announced that it will begin publishing a list of criminal aliens who are inmates in the county jail, as part of its existing “Who’s in Jail,” online database. The information made public will also include when criminal aliens are released from jail, a move that comes in direct retaliation to the state’s “sanctuary” laws which prohibit cooperation between police and federal immigration officials. 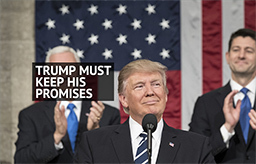 California’s “sanctuary law” has recently encountered resistance to this dangerous policy from multiple communities in California. Most notably, the City Council in Los Alamitos voted last week on an ordinance to exempt the city from state law over concerns that it is unconstitutional. The Yorba Linda City Council agreed to file an amicus brief to a lawsuit filed by the Department of Justice against California. The Orange County Board of Supervisors are also expected to consider a range of possible actions against the state law as well. 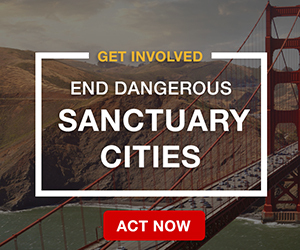 Open borders groups like the American Civil Liberties Union (ACLU) have been actively working to prevent cities in California from opposing the states “sanctuary” laws. I am so sick of Jerry Brown, he has put this state in a stage of bankruptcy. He gets federal funding for fixing a major problem. He did not fix it. He could not get it fixed as he allocated the said money to go to his train. Something that is not an important. So the dam during the heavy rains start to crack and put homes in danger. Now this idiot and the liberal satanic minions want to sue these cities in California that are not going along with his bill of becoming a sanctuary state. The main is CRAZY. Explain how this idiot can sue these cities, because they are following a FEDERAL LAW? He is with all the liberal satanic minions. Because he wants to run for Senator God forbid. The man has taken California to the brink of disaster. It would prove to be a terrible move for California and the rest of country. Sue the cities. They need to continue with the building. The wall and let. ICE do their jobs. You are a very wise person and I cannot understand why the people of California put up with Jerry Brown he has just about destroyed it’s economy. He needs to be thrown out of office. There are probably too many free loaders and illegal immigrants there for it to happen. California was once a prosperous state but now it is in tatters. I wish you all good luck but for right now I would rather throw California out of the Union. It is a drag on the whole country. Since we finally got a President in office that has a pair of gonads, things are starting to roll and it is about time. 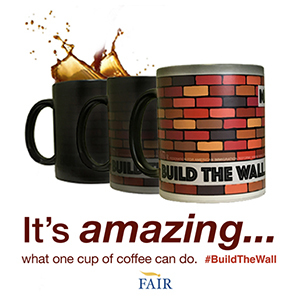 It is totally a bunch of BS how these illegals are being coddled. It’s about time some thinking officials in California stood up and said NO! As a resident of San Francisco i can attest to what’s happening on a daily basis. Here we also need to get rid of all the illegal ‘coolie’ chinese aliens who’ve turned many neighborhoods in this once crean, great, affordable and liveable city into third world CRAPHOLES, complete with filth, squalor and stench. They push and shove, spit on the streets and most disturbing, spit on the American fleg. These diagustiing *********** are the first in line pushing and shoving for all the ‘freebies’ aka ‘handouts’ doled out like candy by the liberals running this city into the ground with all their BUPKUS taxes to pay for all this BS. Time to take back America. I’m frankly sick and tired of being forced to pay for all this and I’m sure I’m not alone in this feeling. ENOUGH! Time to also get rid of ALL the politicains in California who support ‘sanctuary cities’ and ‘sanctuary state’ status! KUDOS to this sheriff, city council members and others standing up to this lawlessness and insanity! Trump is already starting on the wall. The illegal aliens will not need any detention beds, just a seat on the bus taking them to the border. Moonbeam can go with them. Troubles in liberal paradise? 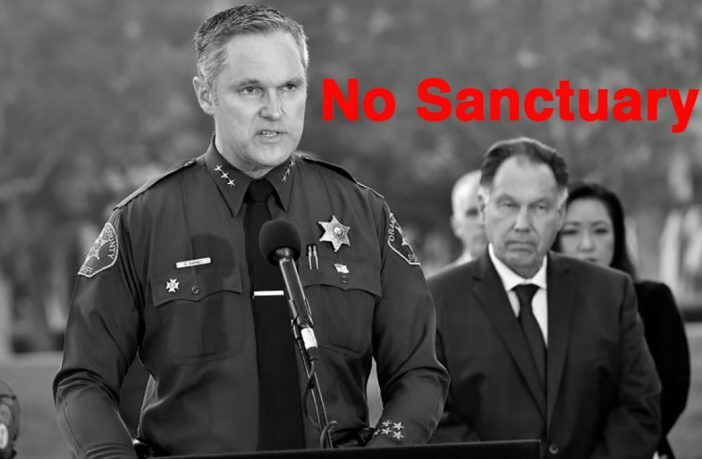 because when these “sanctuary cities” suddenly decide that they can easily disregard the laws in The United States and the American people, especially the ones who have had their fill with violent and hostile illegals, then its good to have Americans like this Orange County, California Sheriff to take a brave stand and say that’s enough! the liberal progressives who seek to criminalize red-blooded conservatives sure better know where the line in the sand has been drawn because our country has too many illegals who are not here legally, and for these sanctuary cities to openly defy our own laws is not a good idea. Americans cannot afford to cater to lawless illegals and other unfriendly foreigners who cause and create squalor and disrespect in our cities, and the sanctuary cities that are defending this kind of nonsense won’t last very long, and President Trump still has the Federal authority to get tough with these non-compliant cities or the lawless liberal factions that support socialism, because that ******** is UnAmerican and seriously stupid! liberals are getting closer to making Patriotism a crime, and when that happens, that’s going to be a very serious war! Europe may do things differently and that’s their own business, but don’t come to our country and start trying to subvert other factions to supporting illegals. Obama got away with that, now Trump is in the position to correct this before it becomes a terminal cancer, and if the people don’t like that, then they can go move to another country and see how long they’ll last over there! good for this Sheriff, and I hope he succeeds in upholding real American laws! Kudos to the Orange County Sheriffs Department! See: CSPOA – Constitutional Sheriffs and Peace Officers Association. And kudos to the mayor, Shawn Nelson, and city council for fighting they tyranny of an otherwise failed state. If we all working together do Not get rid of current and future illegal aliens the USA will be killed internally !! Also ! ?? Something you may Not have thought about yet !! And that is when the lack of jobs for Americans and the lack of income taxes being collected, Reaches a point where food stamps stop being backed up with a currency that still has buying power and section-8 rent payments also no longer work because of nothing actually backing the US Dollar that they had been being paid with ! How quiet and non Violent do you think the illegals will continue to be when they are turned away from grocery stores and being thrown out of their Government paid houses and apartments ?? Stock up and keep your powder dry ! Just take a look at international news and see how White people are being killed every day in the Country of “South Africa” And having their farms stolen, By Black South Africans, (You won’t find any mention of this in any USA news and certainly No military help to Stop it. This is a smart move on the part of Orange County not only for the safety of local residents but because tourism is an important part of their economy with Disneyland, their beautiful beaches, etc. 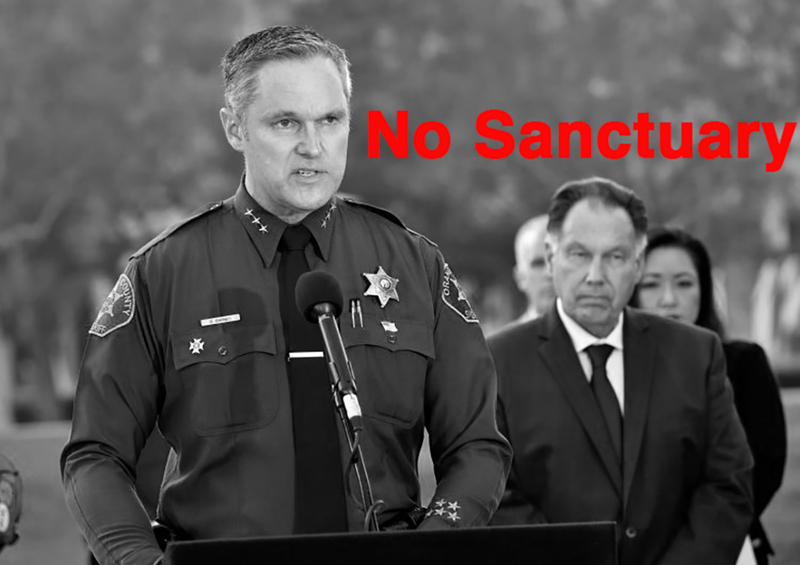 The OC does not want to go down the path of sanctuary city San Francisco. A recent local news report out of SF quoted a SF city council member saying SF has been losing tourists and conventions because of crime, homelessness, and needles and human waste on streets. Their sanctuary status is not the only reason for these problems but is a contributing factor. I remember commenting at the time of the Kate Strike murder that SF was sending a message to potential tourists that they didn’t care about their safety, which could cause fewer tourists to visit. A public health expert at UC Berkeley also said in some areas in SF it is as bad as the worst slums in places like India from a public health point of view. If things were to get as bad as SF in the OC a lot of Americans could decide to switch to flying to Disney World in Florida which wouldn’t be good for the OC’s economy. Love these brave sheriffs wish there were more of them in this God forsaken State, what Brown and cohorts have done to us is criminal and should be punished with prison. In my circle of friends and family I don’t know anyone who wants to visit San Francisco ever again. It’s become too dangerous, dirty, and expensive. It’s just not worth it. Even going there on business is a nightmare. As a resident of the once great, claan, affordable, prosperous and liveable city of San Francisco, i agree wholeheartedly. The liberal ‘communists’ running this place have destroyed it with their tolerance of bums, homeless encampments everywhere, chinese ‘boat people, crime and streets filled with the stench of urine and feces! This is what open borders proponents want to bring to a city near you. We need e-verify, deportations, and all the other deterrents, but we also need a wall, a secure border, because these criminals are not going to be getting jobs. They smuggle in drugs and set up their networks here. Invariably, when someone says a wall or fence won’t work, it’s because they don’t want this endless flow of illegals to stop. The people who really count, the Border Patrol, say it is a big help to them because it allows them to stretch their manpower and get to places where illegals are attempting to climb over. All this talk of 30 foot ladders carried across the desert is a bunch of nonsense. We already have double layer fences in areas along the California border and they have cut crossings there to almost nothing. 30′ walls will have plenty of deterence. You can climb UP a 30′ ladder, but to get down on the other side you are going to have to drop or climb down a rope, which not all will do. It will deter plenty. a fence with a pit at the bottom with: 220 hot wires, spikes, gators etc. Our problem is leaders and traitors, literally murderous to us. We need to fight like they ARE THE ENEMY! Socialists, commies, islam, atheists, politicians. Illegal immigrants are CRIMINALS the minute they illegally cross the border. Taxes of United States/American Citizens are to be spent on the taxpayers not CRIMINAL/ILLEGALS! 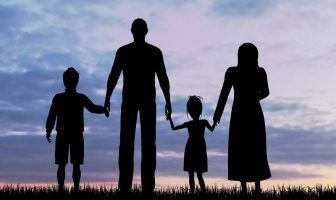 CRIMINAL/ILLEGALS have babies born in our tax supported hospitals and never pay a dime, receive free child care, education, it costs taxpayers $15,000 per child per year , child support (the mothers say they don’t know where the fathers (yes plural) are, Medicare, Medicaid, food stamps , housing plus plus plus. ALL PAID FOR BY THE TAXES OF UNITED STATES/American Citizens. who in any way supports/defends CRIMINAL/ILLEGALS. The Taxes of Citizens are to be spent on Citizens. NOT criminal illegals OR growing unnecessary government/politicians who are traitors to the UNITED STATES OF AMERICA. Somebody needs to start upholding the law. Illegal aliens have no rights. Bottom line! Any public officials who refuses to uphold the laws, too keep the public safe from foreign invaders. Should be fired! Should be removed from office! They swore an oath of office to serve American citizens, not illegal aliens! Finally an elected public official with balls. Nice to see this even if it’s in orange county. I live in san Francisco and the ‘boat people’ here seem ro have more rights and ‘freebies’ doled out to them by the liberals running this city into the ground. Hope this spreads. I’m frankly sick and tired of all the illegal chinese ‘boat people’ who’ve turned this once brautiful, clean sand liveable city into a third world S**THOLE complete with filth, squalor and stench, just like back in china, truly disgusting!